Now then, I must confess that when I saw this one on original broadcast I was very tempted to switch off as I thought Minder had moved very far away from its original core theme of 'minding'. I have watched it again many times of the years and have actually come to like it. It's not going to set the world on fire plotwise but was a good watch from start to finish when I watched it again recently. Heart Attack, Little Pete and Vic are all pretty solid characters. This has a very memorable football match at the end that Morley referees which was filmed at Southall FC. As well as getting most of the regular cast involved, it also features George Sweeney, a familiar face to most of us on here I'm sure! 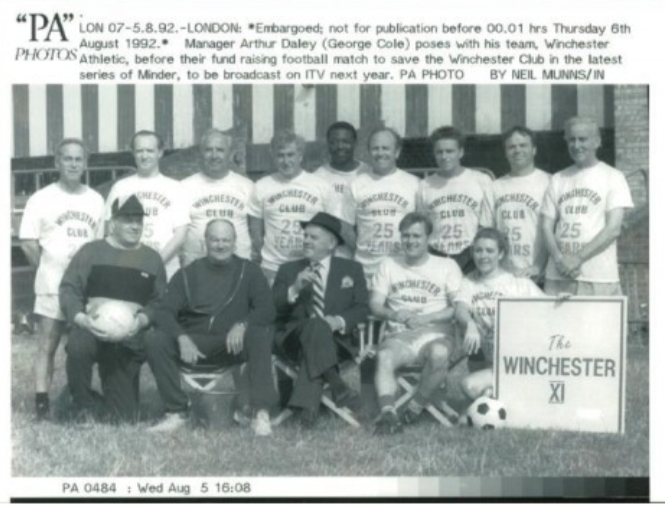 A slight indicator of filming dates for this one is the photo from Press Association below, dated 5th August 1992. Not the greatest episode but very watchable - 6/10. I like this one too. 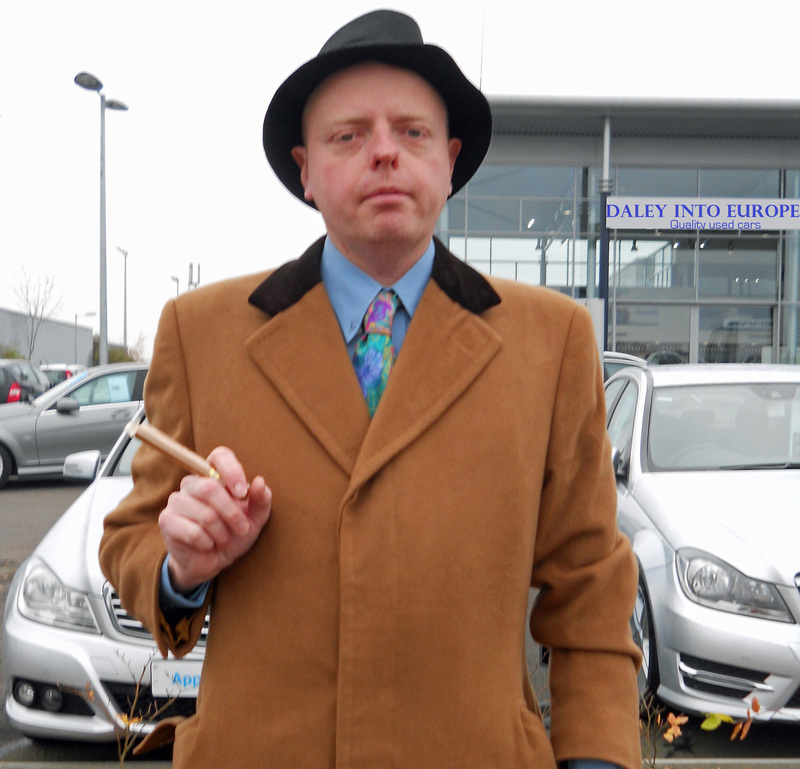 Heart Attack played by Geoffrey Hutchings is a classic Minder character. The scene where Arthur asks him if he's gone mental made me laugh out loud the first time I saw it. Pretty much spot on with your review jno. Not a classic episode by any stretch by does have some very good scenes throughout the episodes, especially the football match. Morley really was incompetent as the ref. The charity auction was also another good bit. Also the end when Arthur sends Vic on his way, leaves you wondering how Arthur could ever survive without someone to cover his back. I found this highly enjoyable because of it's Englishness. All the talk of pubs and a football match appeals to my Anglophilia. 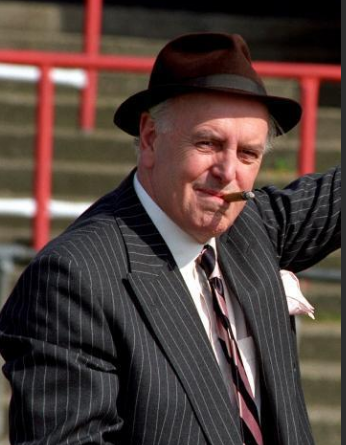 No shortage of great Arthur lines and magic from George Cole. My two favorites were the look on Arthur's face when he has to pay cash for a round of drinks and the way he lied to the reverend thinking the charity March was for Winchester Cathedral. He's getting back at the reverend for performing his marriage to 'er indoors. Wonderful! I like this episode. It has a great early 90s atmosphere and locations - the football ground, the pub where the Winchester members go and Heart attacks flat by the railway. I love the bit where the Winchester member says he can get some football kit as he "has just turned over a sporting goods warehouse". Arthur's Winchester souvenirs were a bit cheap too with the undrinkable wine and cheap t shirts. The football match is very funny too - with Dave handing out lagers from a bucket to the players. Arthur says the vicar was the one who married him and er indoors, yet in "for a few dollars more" Arthur yas he has been married for nearly 35 years, was he a child vicar then, as he does not look that old! Enjoyed this one.Trying to find a celebrity for the football match.We couldn't even book Lionel and he'd turn out for the opening of an envelope. As other members have pointed out, not one of the best episodes, however still worth a watch as some good bits and a great supporting cast. A great press photo, again indicating this one was filmed at the start of August 1992. Thats a great find! Well done!